PHOTO PRINT STRETCH CELINGS AND WALL PANELS. Photo print stretch ceilings and wall panels can be a real interior design attention grabber, an essential stylistic centrepiece. This is a perfect way to add a “missing” decorative element to your interior. Art ceilings make a good example of harmonious combination of traditional ceiling paintings and state-of-the-art technologies. 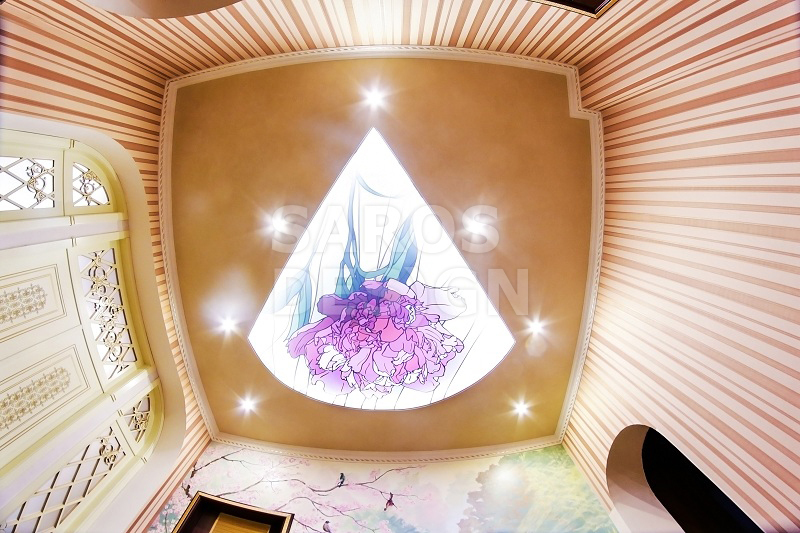 Technologically speaking, an art stretch ceiling means a ceiling with a pre-selected image applied onto it using the interior design print technology. 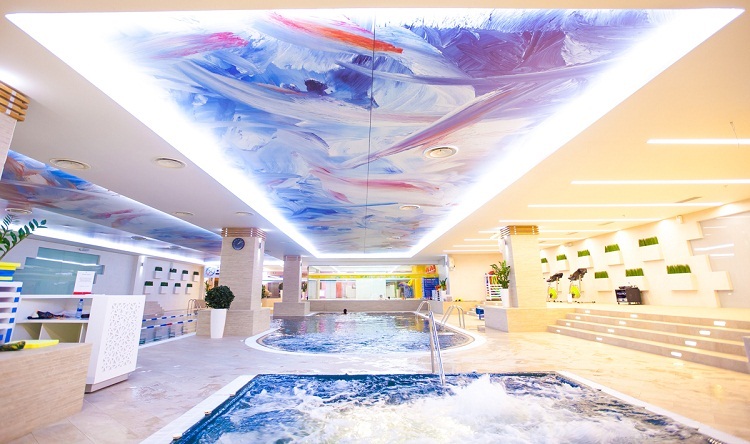 The ceiling itself can be Matt, Satin, Glossy or Translucent, white or of any colour depending on your personal preferences and the interior design style. 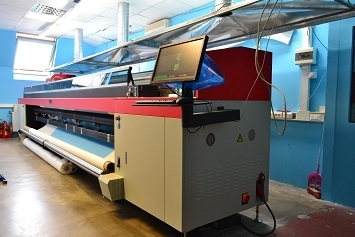 Current technologies (UV-printing) offer the possibility of printing images not only onto lighter shade films but also onto any colour films avoiding colour distortion of the image itself. 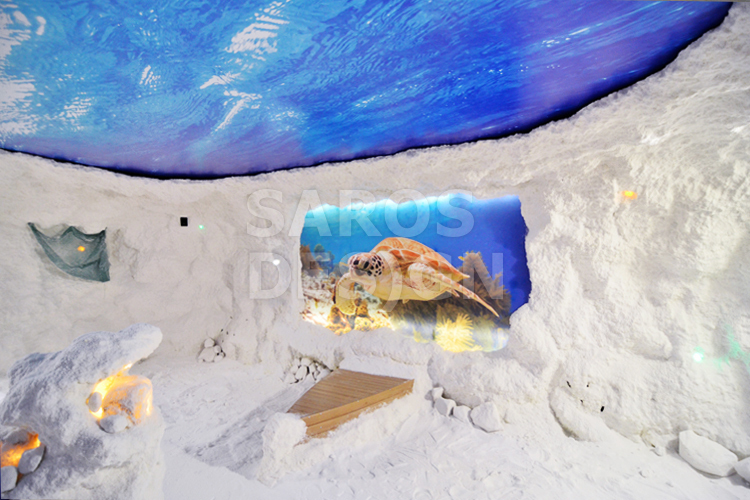 SAROS DESIGN production facilities are equipped with the most advanced equipment. We have two large-format plotters at our disposal; one suitable for widths up to 3.2 m (eco solvent printing) and the other one – for widths up to 5 m (UV printing). Each of the printing methods has its own specific features. The 3.2 m plotter can be used with lighter shade and white finishes only whereas the 5 m one takes all finishes. 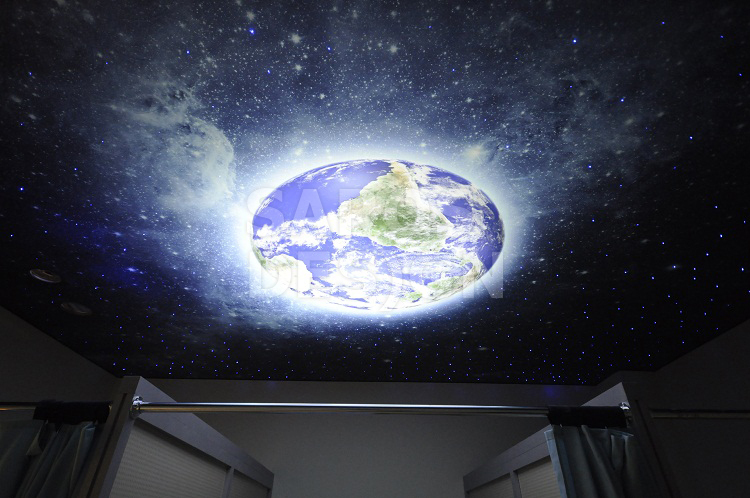 Apparently, the 5 m plotter produces seamless art ceilings for large spaces. 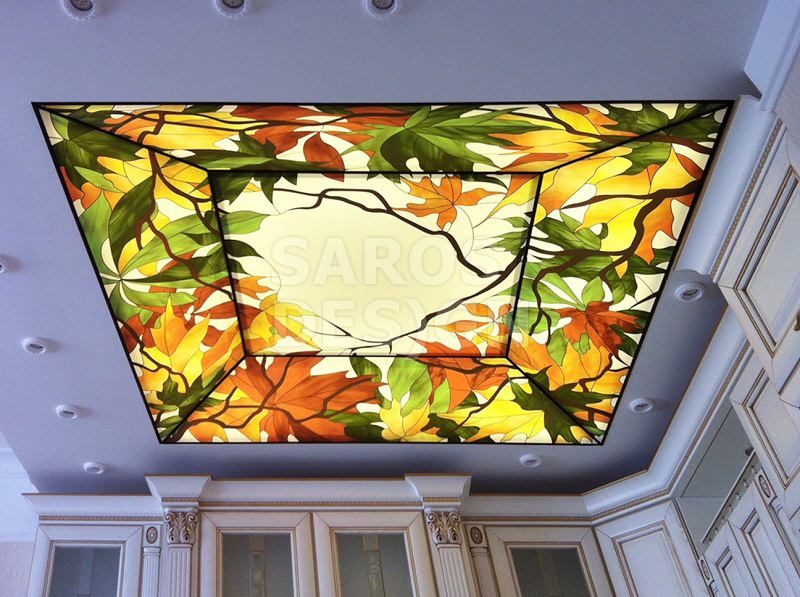 For printing, SAROS DESIGN uses only high quality UV and eco solvent ink completely approved for interior design printing. 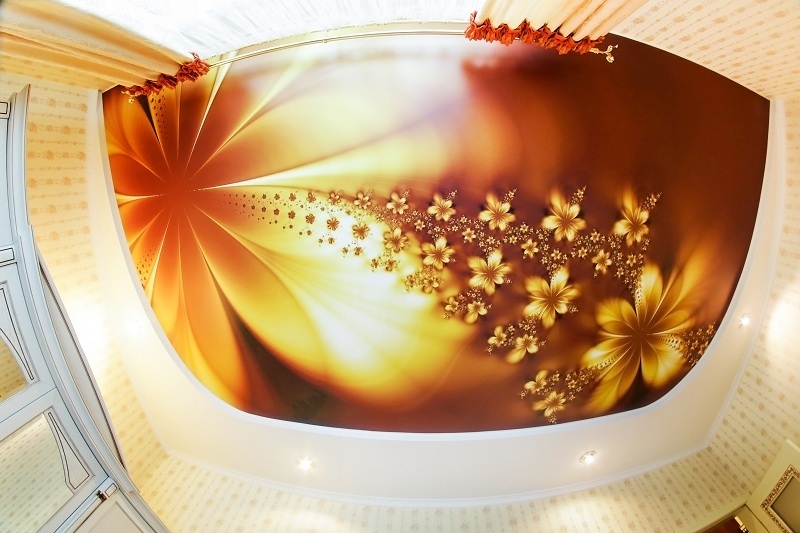 Our photo print ceilings are only made to individual orders. We take all customer’s requests and aesthetic preferences into account. Prior to making the final product, we strongly recommend ordering a full-colour test print, i.e. a small colour proof sample offering a complete picture of the colour intensity in general. Our customers can get two colour proofs free of charge. SAROS DESIGN offers an enormous image gallery for photo print stretch ceilings and wall panels (more than 8 printed catalogues with classic to surrealistic themes). You can also select the desired print image from the www.shutterstock.com image library. If required, our designers can adapt an image selected to your interior design or design a tailor-made layout. 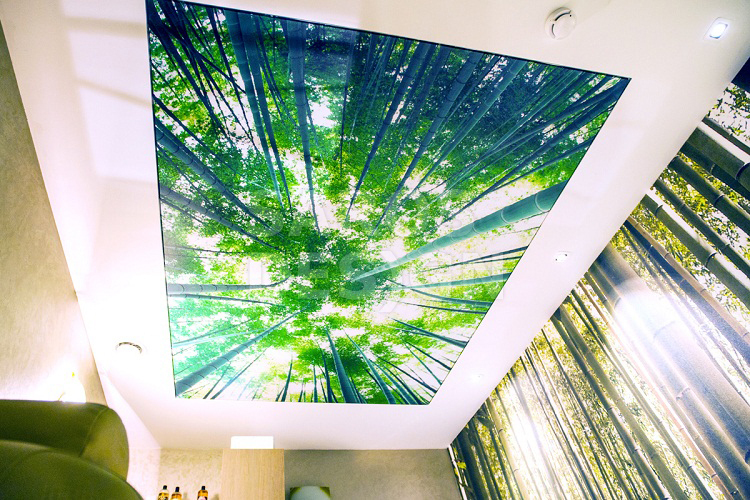 We can also print a stretch ceiling with your company’s logo or a personal picture.